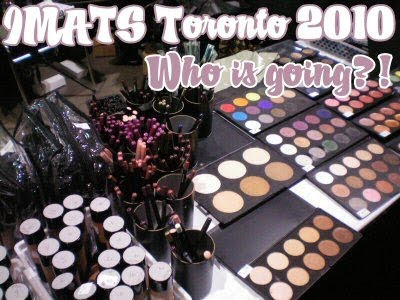 IMATS Toronto is taking place this weekend (Nov. 6-7, 2010)! I think that I am going on Saturday. Koren (EnKoreMakeup on YouTube) and Kandee (kandeejohnson on YouTube) will both be there on Saturday to lead classes. Other talented makeup artists will be on the scene also. The student competition theme this year is Alice in Wonderland, so I'm really looking forward to seeing the looks they come up with.